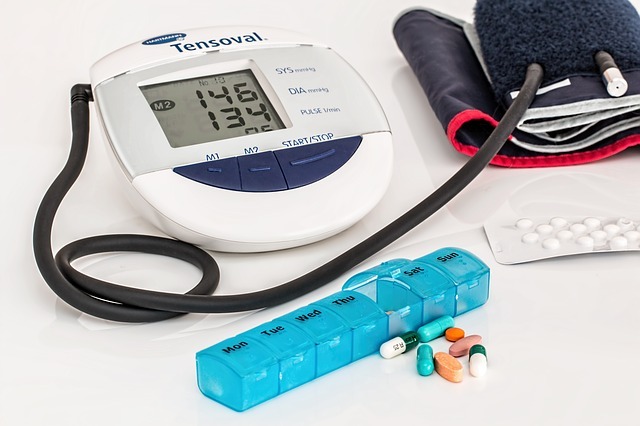 High blood pressure or hypertension is a condition in which a person's blood pressure exceeds the normal limit. This situation is possible by the condition in which the person is experiencing health problems caused by unhealthy lifestyle, such as frequent eating foods that contain substances that are not good for the body such as high cholesterol or saturated fat, lack of physical activities, stress or can also be due to symptoms of certain diseases such as heart or other degenerative diseases. The best way to overcome hypertension is to change our lifestyle. Starting from food by more consumevegetables and fruits, measurably exercise and rest need to be applied. As a healthy lifestyle, it's good for you to do traditional medicine using herbs. Below, we present some potion with herbal plant that you can make yourself at home to overcome hypertension. Boil 3-4 cloves Garlic and onion with 500 cc water (two glasses) until it leave 250 cc or 1 cup. Drink the water whileit still warm two times a day in the morning and night. Chewed or swallowed 2 or 3 cloves of garlic with warm water 3 times a day. Onions are baked until cooked, then eat it. A handful of sweet starfruit Leaves, lime, and 0,5 tablespoons of honey. Wash the star fruit Leaves, pound it, squeez it, and take the 1 tablespoon of the extract and mix it with 1 tablespoon lemon extract and 0.5 tablespoons of honey. Drink twice a day morning and afternoon or evening. 2 Noni fruits, 1 cucumber, palm sugar. Cored the noni fruit, then grate and squeeze it. Mash the cucumber and and squeezed. Both ingredients are mixed with two glasses of hot water. Combine it with palm sugar to give it better taste. Drink it three times a day. Slice bilimbi and boil it with 3 cups of water until it left half a glass, then filtere the water. Drink the extract once a day every morning. A handful of corn hair (old or young corn). Wash Corn hair and boiled with 1 liter of water and filtere it. Drink it twice a day. After the blood pressure goes down, drink once a day. Wash the leaves of sambiloto, then boil with 3 cups of water until it remaining three quarters of a glass. Drink twice a day. Mash and squeez papaya fruit to take the extract. Drink the water twice a day and repeated for three days. boil Celery leaves with 2 cups of water until it remaining 3/4 cup of water. Drink half of the stew in the morning, and drink the rest at night. Boil Watermelon skin and gambier with enough water. Drink it as a substitute of tea. Eat the lotus seeds directly three times a day. 20 grams of Mahogany seeds, one cucumber, palm sugar. The three ingredients are crushed and brewed with hot water, squeeze and filter it. Drink one glass every morning. Boil Cat whiskers Leaves with enough water, then filter it. Drink while it still warm every morning one glass. Centella asiatica (called Centella asiatica) is mentioned as the most healing herbs, efficacious for cleansing blood, strengthening arterial and antiphonal vessels. While Ngokilo is commonly used to treat high blood pressure, diabetes, cancer, prostate disorders, even skin beauty. Dry Each herbs in the sun and after being dried, puree and sift (coffee sieves can be used) to obtain dry powder. Take about 300 mg of powdered herbs of gotu kola, mix with 400 mg of ngokilo in a cup then boil the mixture with boiling water, drink all the ingredients 3 times a day.